Here’s the transcript of a long but very interesting roundtable question and answer session that Ian McKellen conducted with a number of reporters just before his final day on the set of the Hobbit as Gandalf. 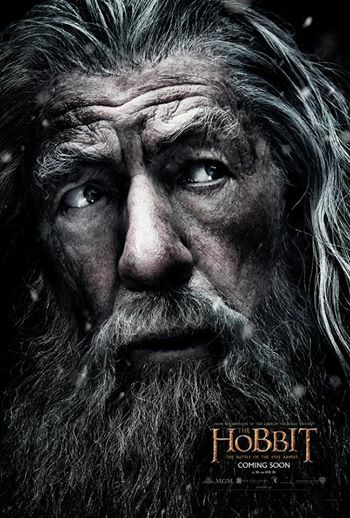 The transcript traverses not just his role — and legacy — as Gandalf, but also his Shakespearean endeavours, living in New Zealand, meeting Edmund Hillary, and the challenges that Sean Connery might have faced if he’d ever taken on the Gandalf role. Question: I think it was Richard Armitage who just told us that when he talked to you early on, one of the things you said was you think something’s going to end. But it turns out this is never going to end. Do you feel like you’re getting, sort of, towards the end of this or do you feel like it’s never going to end? McKellen: I know. Well, it isn’t just that your work that seems to be ongoing, although I am doing my last day tomorrow as Gandalf, ever. As things stand. Because the films go on, they don’t just get released. They get released on DVD, and I suppose most people have actually watched Lord of the Rings and maybe The Hobbit at home, they haven’t been to the cinema. And they watched it over and over again in a day. I talked to someone whose four-year-old. Oh, it was Bill Kircher’s daughter, four. They’d shown her the DVD of The Hobbit and she watched it five times in the day! So, how can it be over? You see what I mean? Wherever we go, we’re associated with it. So, it’s a permanent part of your life and you can’t just say, “Oh, that’s it.” However, as far as the actual filming is concerned, I think it is it. Question: What do you think tomorrow is going to feel like? How momentous does it feel the day before your last day? McKellen: Well, I’m going straight to another job and my focus, I suppose, will just– as I get on the plane will switch to that and there may be a delayed reaction. As I say, there are premieres, there’s AD art to be done, adding the voices. It isn’t “never see you again” sort of thing, it’s not saying goodbye. It’s not the break-up of a relationship. 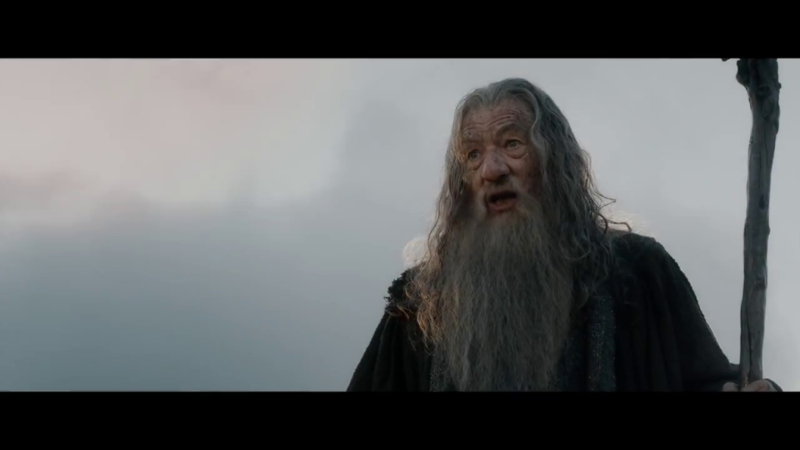 McKellen: (overlaps) I have no idea what I’m doing! No, probably not. They are genuinely pickups, these. So probably just to mend these scenes I’ve already done, but I’m sorry, I don’t know what it is I’m actually doing. Question: Is there any comparison to the two experiences? Do they feel very similar? Do they feel very different, the two trilogies? McKellen: I don’t know, really. It all seems very much the same. The cast has changed a great deal for The Hobbit. Not many of us left. But behind the camera, hundreds of people are the same. I knew Melissa thirteen years ago. Enough said. The director, the writers, the cameramen, his team, the riggers, the best boys, my make-up artist Rick Findlater, Oscar nominee. Emma, who dresses me, was doing it thirteen years ago. So, that all seems comfortably like coming back to family. This used to be a tent, literally a tent. You might think it’s a bit blowy now, but it was just a canvas roof. It was, you’d light your own hands when the Southerly was blowing in here. You felt the whole thing would take off. It’s all a bit more bedded down, our studios are more state-of-the art and expansive. The Lord of the Rings was shot in studios A and B. Go and have a look at them. One’s an old paint factory. Now we’re in these great, big comfortable, waterproof, soundproof, heatproof studios, so that’s different. The 3-D doesn’t make any difference, it’s just a camera. You don’t know what’s going on. There’s been less travelling around, there’s been less stuff on location. We had a glorious two months, was it last year, or the year before?